We love Fish & Fizz and it is always a well earned treat. So we’ve decided to celebrate Thursday with a pop! 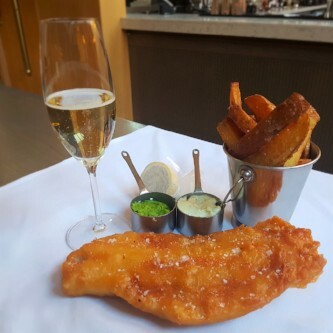 Join us for either lunch (12:00 – 15:00) or dinner (17:00- 22:00) every Thursday until the end of March and enjoy battered haddock, skinny fries, tartare sauce & crushed peas for two people served each with a glass of fizz each – all for £25! Get hooked and join us from Thursday 15th February. T&Cs apply.